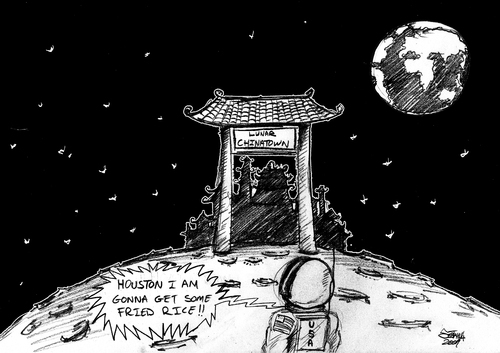 cartoons about China and America on the Moon - ESL discussion starters - ESOL Materials - 英语交流吧论坛 - Powered by Discuz! Despite being set in outer space, the film draws upon motifs from shipwreck and wilderness survival stories about psychological change and resilience in the aftermath of catastrophe. Cuarón uses Stone to illustrate clarity of mind, persistence, training, and improvisation in the face of isolation and the mortal consequences of a relentless Murphy's Law. The film incorporates spiritual themes both in terms of Ryan's daughter's accidental death, the will to survive in the face of overwhelming odds, as well as the impossibility of rescue. Calamities unfold but there are no witnesses to them, save for the surviving astronauts. The impact of scenes is heightened by alternating between objective and subjective perspectives, the warm face of the planet and the depths of dark space, the chaos but also predictability of the deadly debris field, and silence of the vacuum of space with the sound of the score. The film uses very long and uninterrupted shots throughout to draw the audience into the action but also contrasts these with claustrophobic shots within space suits and capsules. Some commentators have noted religious themes in the film. For instance, Catholic author Fr. Robert Barron summarizes the tension between Gravity's technology and religious symbolism, "The technology which this film legitimately celebrates... can’t save us, and it can’t provide the means by which we establish real contact with each other. The Ganges in the sun, the St. Christopher icon, the statue of Budai, and above all, a visit from a denizen of heaven, signal that there is a dimension of reality that lies beyond what technology can master or access... the reality of God". 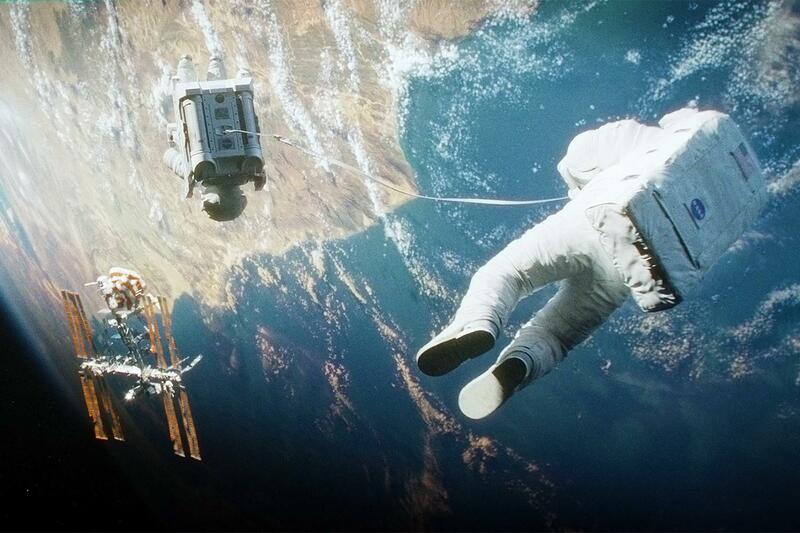 "Alfonso Cuarón's Gravity is an eerie, tense sci-fi thriller that's masterfully directed and visually stunning." On Metacritic, which assigns a normalised rating out of 100 based on reviews from critics, the film has a score of 96 (citing "universal acclaim") based on 49 reviews. CinemaScore polls conducted during the opening weekend revealed the average grade cinemagoers gave Gravity was A- on an A+ to F scale. Matt Zoller Seitz, writing on RogerEbert.com, gave the film a maximum four stars, stating that "Alfonso Cuarón's Gravity, about astronauts coping with disaster, is a huge and technically dazzling film and that the film's panoramas of astronauts tumbling against starfields and floating through space station interiors are at once informative and lovely." At Variety, Justin Chang posits that the film "restores a sense of wonder, terror and possibility to the bigscreen that should inspire awe among critics and audiences worldwide." Richard Corliss of Time proclaimed that "Cuar‪ón shows things that cannot be but, miraculously, are, in the fearful, beautiful reality of the space world above our world. 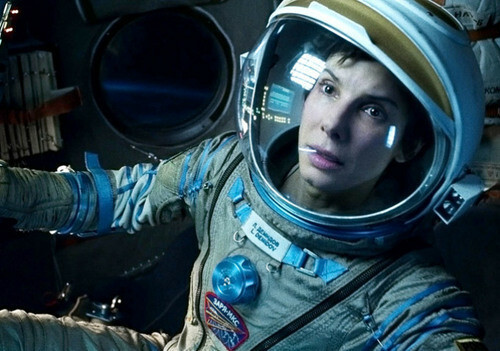 If the film past is dead, Gravity shows us the glory of cinema's future. It thrills on so many levels. And because Cuar‪ón is a movie visionary of the highest order, you truly can't beat the view." He also praised Cuar‪ón for "[playing] daringly and dexterously with point-of-view: at one moment you're inside Ryan's helmet as she surveys the bleak silence, then in a subtle shift you're outside to gauge her reaction. The 3-D effects, added in post-production, provide their own extraterrestrial startle: a hailstorm of debris hurtles at you, as do a space traveler's thoughts at the realization of being truly alone in the universe." Critics have also praised Gravity by bringing up other notable movies set in space. The way Cuarón employs Ed Harris as the voice of Mission Control is seen as a nod to Apollo 13. Others include Alien, and WALL-E. The film was praised by Cameron himself, who said, "I think it's the best space photography ever done, I think it's the best space film ever done, and it's the movie I've been hungry to see for an awful long time"; and Quentin Tarantino, who named it one of the ten best movies of 2013 so far. Dr. Ryan Stone (Bullock) is a medical engineer on her first space shuttle mission aboard the Space Shuttle Explorer. She is accompanied by veteran astronaut Matt Kowalski (Clooney), who is commanding his final expedition. 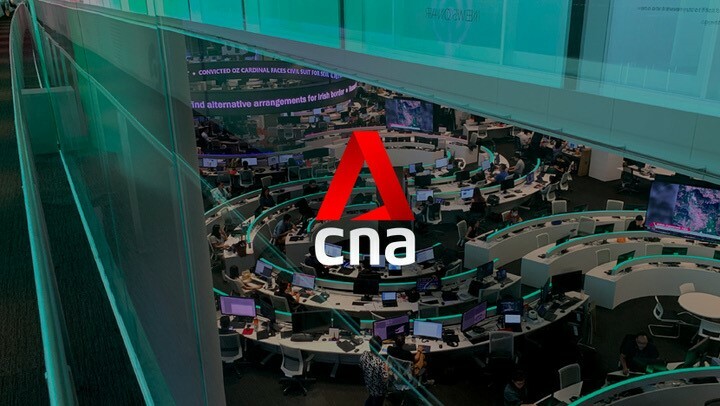 During aspacewalk to service the Hubble Space Telescope, Mission Control in Houston warns the team about a Russian missile strike on a defunct satellite, which has caused a chain reaction forming a cloud of space debris. Mission Control orders that the mission be aborted. Shortly after, communications with Mission Control are lost, though the astronauts continue to transmit, hoping that the ground crew can still hear them. High-speed debris strikes the Explorer and detaches Stone from the shuttle, leaving her tumbling through space. Kowalski soon recovers Stone and they make their way back to the space shuttle. They discover that the shuttle has suffered catastrophic damage and the crew is dead. They use the thruster pack to make their way to the International Space Station(ISS), which is in orbit only about 100 km (60 mi) away. Kowalski estimates they have 90 minutes before the debris field completes an orbit and threatens them again. En route to the ISS, the two discuss Stone's life back home and the death of her young daughter. As they approach the substantially damaged but still operational ISS, they see its crew has evacuated in one of its two Soyuz modules and that the parachute of the other capsule has accidentally been deployed, rendering it useless for returning to Earth. Kowalski suggests the remaining Soyuz be used to travel to the nearby Chinese space station Tiangong and board one of its similarly designed Shenzhou modules to return safely to Earth. Out of air and maneuvering power, the two try and grab onto the ISS as they fly by. Stone's leg gets entangled in Soyuz's parachute cords and she is able to grab a tether on Kowalski's suit. Despite Stone's protests, Kowalski detaches himself from the tether to save her from drifting away with him, and she is pulled back towards the ISS. As Kowalski floats away, he radios her additional instructions and encouragement. Nearly out of oxygen, Stone manages to enter the ISS via an airlock but must hastily make her way to the Soyuz to escape a fire. As she maneuvers the capsule away from the ISS, the tangled parachute tethers prevent Soyuz from separating from the station. She spacewalks to release the cables, succeeding just as the debris field completes its orbit, destroying the station and damaging the capsule. Stone aligns the Soyuz with Tiangong but discovers the damaged craft's thrusters have no fuel. After a brief communication with a Greenlandic Inuit fisherman and listening to him cooing a baby, Stone resigns herself to being stranded and shuts down the oxygen supply of the cabin in order to commit a painless suicide. As she begins to lose consciousness, Kowalski appears outside and enters the capsule. Scolding her for giving up, he tells her to use the Soyuz's landing rockets to propel the capsule toward Tiangong. Stone realizes that Kowalski's reappearance was not real, but is nonetheless given new strength and the will to live on. She restores the flow of oxygen and uses the landing rockets to navigate toward Tiangong. Unable to dock the Soyuz with the station, Stone ejects herself via explosive decompression and uses a fire extinguisher as a makeshift thruster to travel toTiangong. Space debris has knocked Tiangong from its trajectory, and it begins rapidly deorbiting. Stone enters the Shenzou capsule just as Tiangong starts to break up on the upper edge of the atmosphere. As the capsule re-enters the Earth's atmosphere, Stone hears Mission Control over the radio tracking the capsule. It lands in a lake, but an electrical fire inside the capsule forces Stone to evacuate immediately. Opening the capsule hatch allows water to rapidly fill the capsule, which sinks, forcing Stone to shed her spacesuit underwater and swim ashore. She takes her first shaky steps on land, in the full gravity of Earth. China‘s notoriously lagging space program may finally be catching up to America’s. （Foreign Policy, AUG 2, 2013 http://www.foreignpolicy.com/articles/2013/08/02/photos_china_space_program)On Nov. 19, 1999, China's Shenzhou space program got off the ground with the launch of the Shenzhou I. It was a simple spacecraft, with no cargo, no life-support system, and certainly no astronaut. 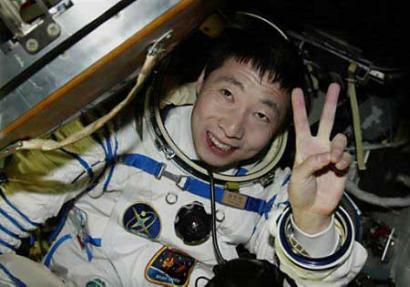 Just four years later, with the Shenzhou V and its pilot, Yang Liwei, China had become the third country in history to send a manned vessel into space. Since then, China has sent a total of five manned missions into orbit, including June's 15-day Shenzhou X mission, the country's longest to date. 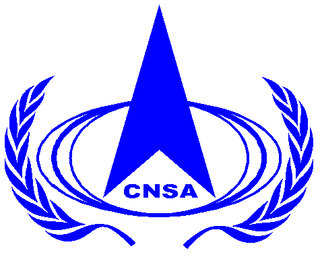 During the mission, three astronautsconducted automatic and manually controlled dockings with an orbiting module. These are crucial steps in establishing a permanent space station, which China hopes will replace its current small orbiting module by 2020. While China remains significantly behind the world's other two space powers -- the United States and Russia -- the end of America's shuttle program in 2011 means that the future of manned space exploration may well shift, however gradually, from Washington to Beijing. 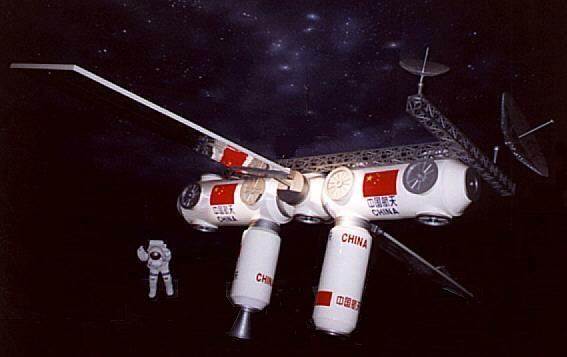 China already has plans to send up a larger "space lab" in 2015 before unveiling its own space station in 2020. 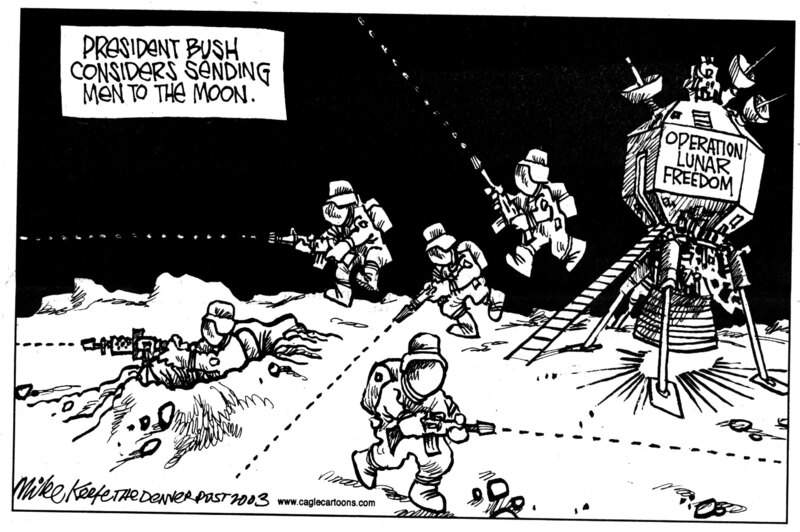 More ambitiously, it is also exploring the feasibility of putting a man on the moon by 2025. With these lofty goals, the next decade could be even more significant than the last. As John Hickman writes for Foreign Policy, there "are unmistakable warning signs that China may surpass the United States and Russia to become the world's preeminent spacefaring power." GMT+8, 2019-4-23 06:08 , Processed in 0.175007 second(s), 31 queries .